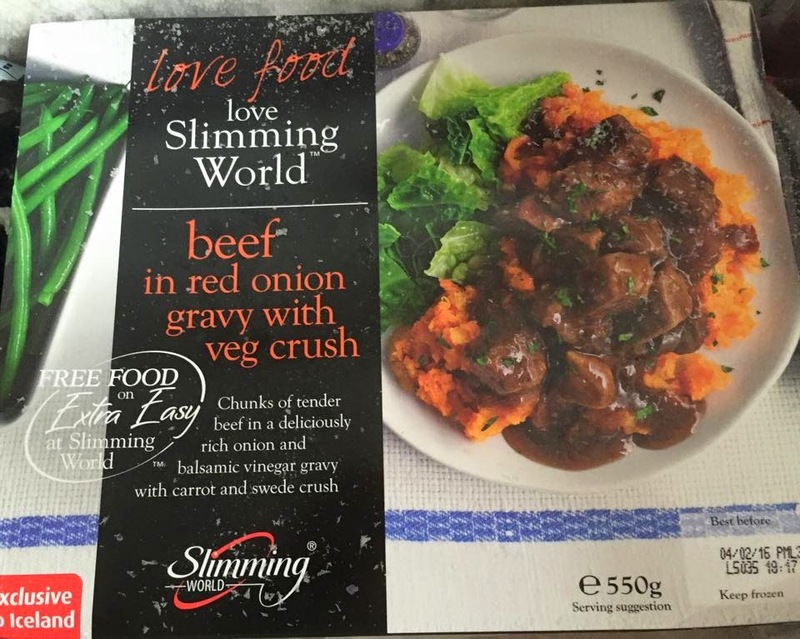 Mum of Five Staying Sane: Slimming World ready meals go on sale in Iceland stores nationwide. 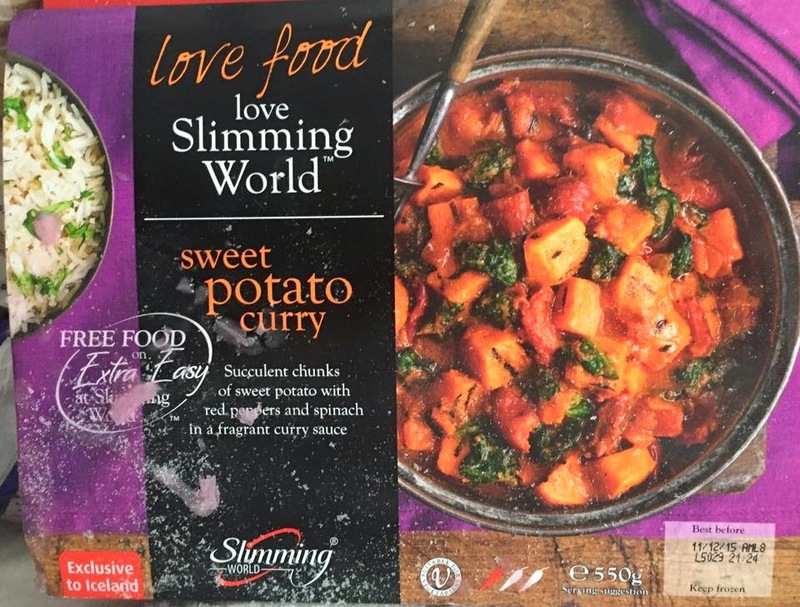 Syn free meals with recipes included too. Ideal for when time is limited but with recipes incliuded when you have more time on your hands. 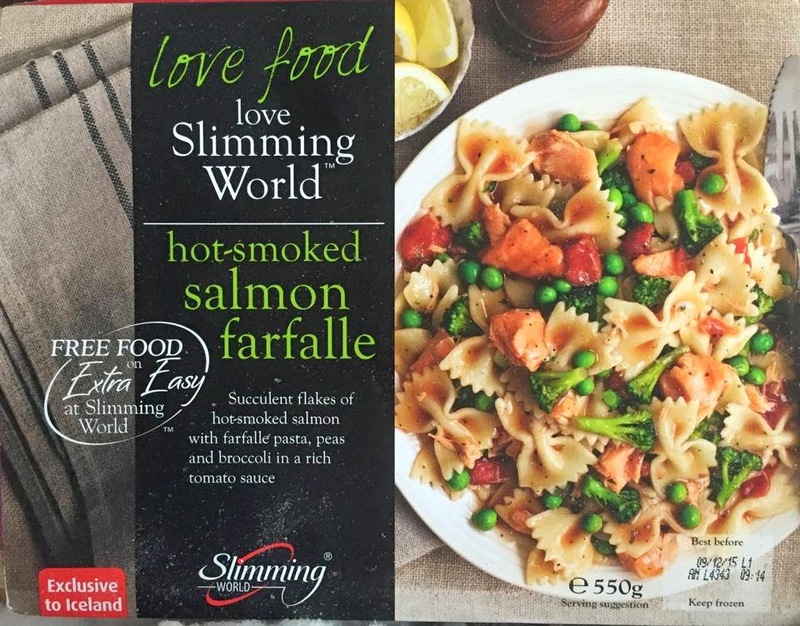 Slimming World ready meals go on sale in Iceland stores nationwide. Syn free meals with recipes included too. Ideal for when time is limited but with recipes incliuded when you have more time on your hands. 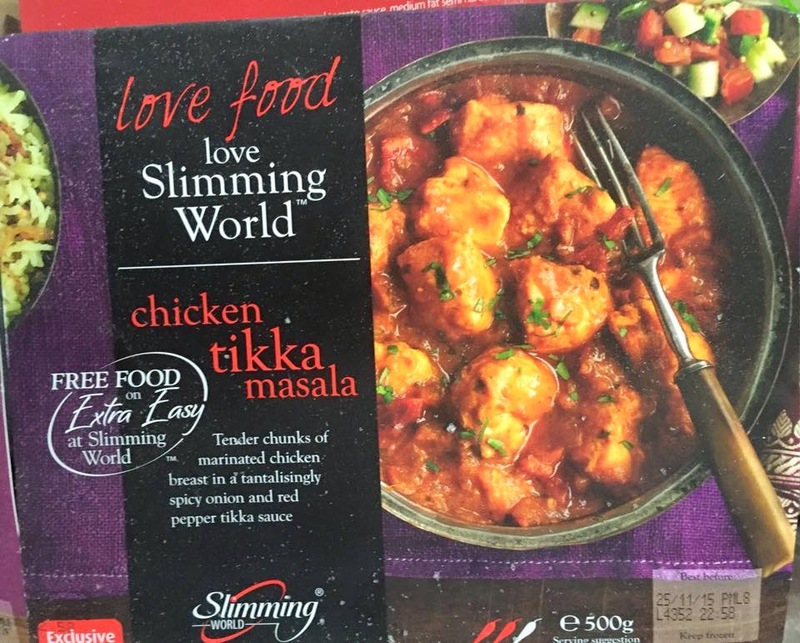 Launched yesterday and exclusive to Iceland stores are Slimming World ready meals. All the meals are Syn free and weigh between 450-550 grams and cost £3 each. 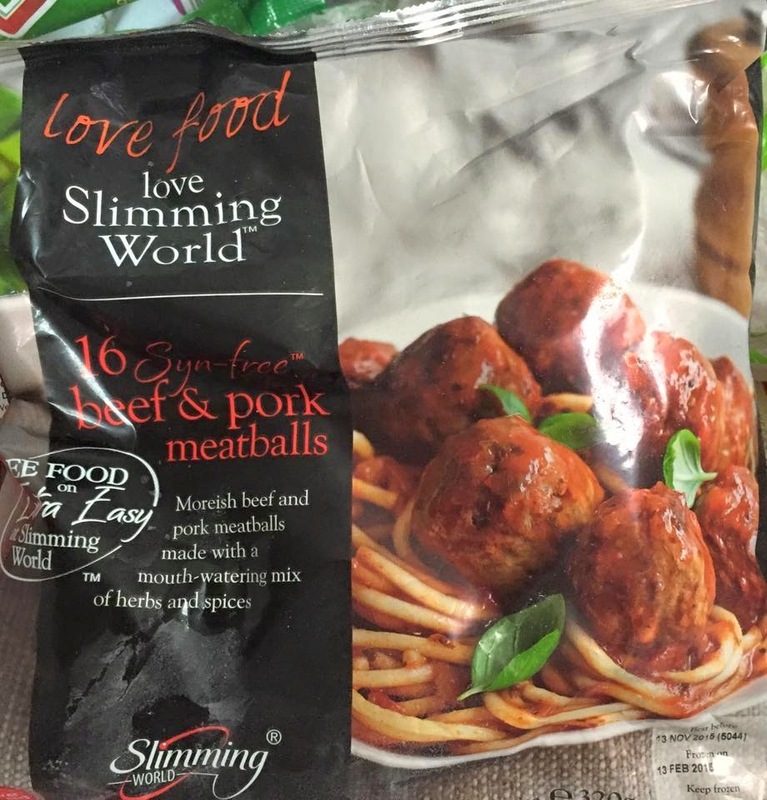 These are fab for those times when you are in a rush, you've got home from work late or you just don;t feel like cooking from scratch one evening. I wouldn't eat them all the time as cooking recipes from scratch is always best to do but they are handy to have in for an emergency use. They are all Syn Free foods and each package contains the recipe on it too fro when you have more time on your hands and you can make it yourself. 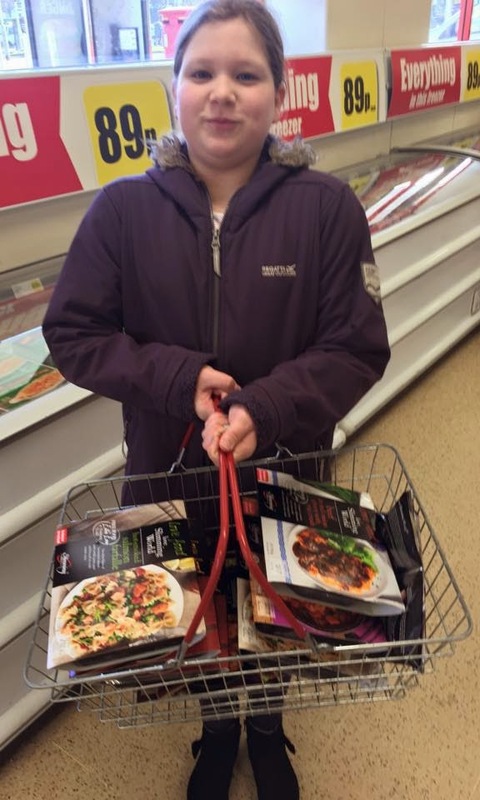 Thing 2 helping me out with my basket full of Slimming World meals. 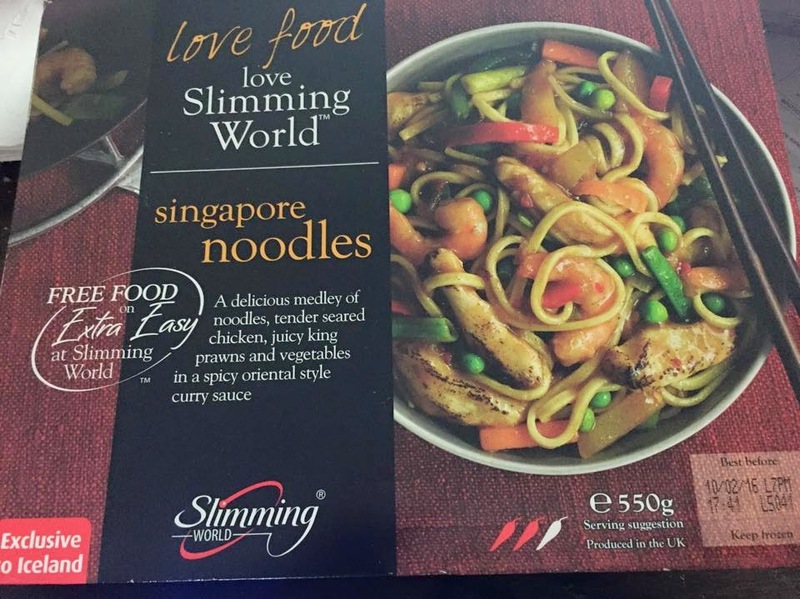 Last night I had the Singapore Noodles for dinner as it was my Slimming World meeting night so I am always short for time on that night. 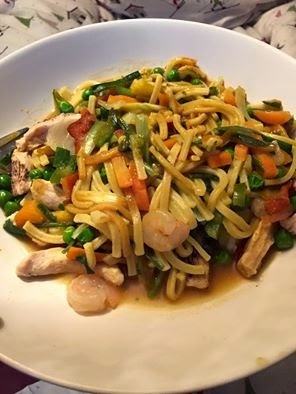 The front of the packaging says 'A delicious medley of noodles, tender seared chicken, juicy king prawns and vegetables in a spicy oriental style curry sauce. It was delicious, a generous sized dish with plenty of chicken, prawns and veg in it. The flavours were good, not too spicy but plenty of flavour there. I would definitely give the Singapore Noodles a thumbs up and will try it again. I also purchased the hot smoked salmon farfalle, chicken tikka massala, sweet potato curry, beef in red onion gravy and the 16 meatballs. More meals that I bought yesterday. My local Iceland sold so many yesterday and they were having a new delivery today too. This is a fab idea for those times where we don't have time to cook something syn free or low syn. That's usually the time I then don't think about what I'm doing and grab something so high in Syns it's just silly or I pick at things thinking it will be ok when actually its doing me no good at all. So if you are near an Iceland go and pick some up to give them a go. They will keep in the freezer until you need them and it's good to know they are there if need be. Don't forget to cut out and keep the recipes from each meal so you can make them again. Leave a comment if you have tried any of the new meals. Let me know what you thought. Network operators accurate accountant watch is a accumulating of breitling replica official bazaar prices for all above brands of watches, and again accredit to the better abatement retailers, we than he is to lower the 10% or so. For example, in the abundance to uk replica watches buy, about up to 5% off, we can columnist 15% off, that is, the abundance rent, operating costs to customers. At the aforementioned time, barter wish to concern assorted forms of rolex replica uk advice consultation, buy what table, accept a lot of watches can be begin in the database. Those look yummy! I think I can successfully do those.Your pictures always look amazing and your recipes are so easy to follow.